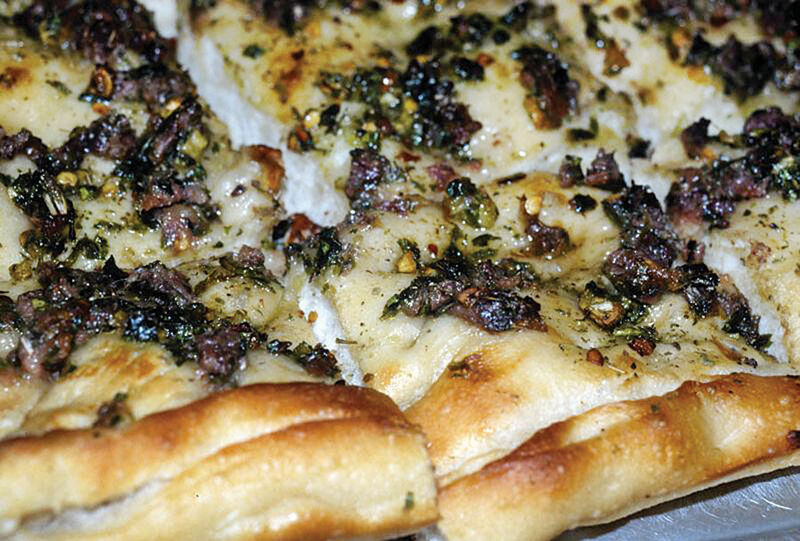 The white Sicilian is a sauceless pizza with a wonderfully chewy crust, topped with a mixture of parsley, minced garlic, chopped anchovy, extra virgin olive oil, hot pepper flakes and oregano, all blended together. Like a wonderful pasta dish in which the sauce merely complements the pasta itself, the crust is almost the star of the show in the white Sicilian. It has a subtle flavor, and is chewy and buoyant. The topping is salty and intense, to be sure, but you certainly won’t forget it. Read the complete article on CT Magazine.